The Bride unwaveringly continues on her roaring rampage of revenge against the band of assassins who had tried to kill her and her unborn child. She visits each of her former associates one-by-one, checking off the victims on her Death List Five until there's nothing left to do … but kill Bill. An assassin is shot at the altar by her ruthless employer, Bill and other members of their assassination circle – but 'The Bride' lives to plot her vengeance. Setting out for some payback, she makes a death list and hunts down those who wronged her, saving Bill for last. Tokyo! is an anthology of three short films by directors Michel Gondry (France), Leos Carax (France) and Joon-ho Bong (Korea), each of whom offers an imaginative and transnatural/supernatural glimpse into the Tokyo Megapolis. 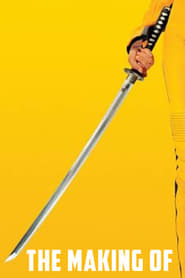 The documentary of the Blockbuster sleeper, Kill Bill Vol. 1, and how it was made. There is Quentin Tarrantino, the director and writer of the movie, Uma Thurman, who plays "The Bride", the sort of Hero/Anti-hero of the film when she was betrayed by her old teammates, Lucy Liu, playing O-Ren, the half-Chinese half-Japanses American who is Queen of the Crime Underworld in Japan, Vivica A. Fox, playing the now-retired-assassin-turned-homemaker and Julie Drefus, playing Sofie, O-Ren's lawyer, second-in-command and lawyer. Edogawa Rampo is a writer whose latest work is censored by the government, deemed too disturbing and injurious to the public to be allowed to be published. However, after burning his drafts, his publisher shows him a newspaper with an account of events just like his forbidden story. As the film progresses, fantasy and reality intermingle in a tale that draws heavily on influences from Poe and Stoker's Dracula. The film's strongly Expressionistic direction skillfully combines a variety of media (animation, computer-generated imagery, grainy black-and-white fast film stock, color negatives) for artistic effect. A new student at a British public school forms a secret society centered around cooking and midnight feasting with other school misfits and outcasts.